I reviewed nine books in April, which comes as a surprise as it didn't feel like a typical month of reading. 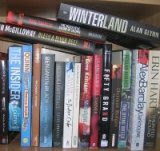 That's especially the case given I also read a couple of non-fiction books that I've not yet got round to reviewing. It felt like a five book month! 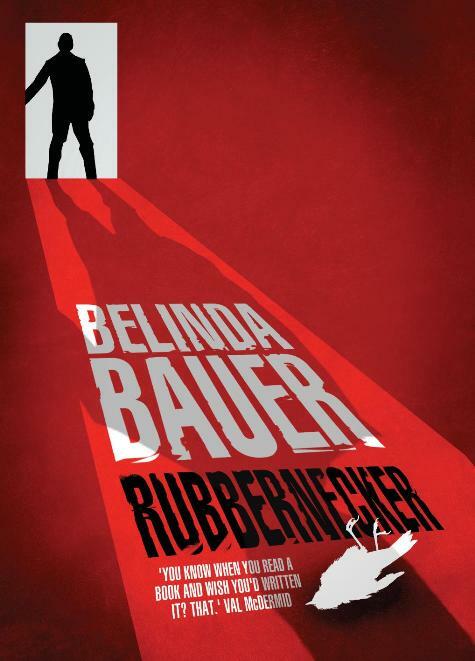 The standout read was Rubbernecker by Belinda Bauer. 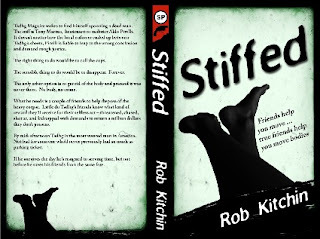 Stiffed is due to be published in May by Snubnose Press. Here is the first draft of the print cover wrap minus barcode and endorsement quote. Personally, I'm really pleased with the design and think Eric Beetner's done a really great job. Expect a couple more posts plugging said tome in the next few weeks, though I promise to keep them to a handful. Detective Eugenie Auf de Maur has risen quickly through the ranks of Hera City’s police department. Smart, brave and a little foolhardy, she compensate for her diminutive size by sheer force of will. But she may have met her match in the conspiracy surrounding the death of Madeleine Greenhill, a spoilt rich kid who has been fished out of docks wearing her favourite polka dot dress. Madeleine, a wild child who trawled the bars and nightclubs and mixed in dubious circles, was the daughter of Misericordiae, one of the city’s most feared matriarch’s, a student at one of its most exclusive colleges. Investigating the case is made more difficult by Madeleine’s circle of supposed friends closing ranks, Misericordiae desire for revenge, a hired thug trying to send the tiny detective to an early grave, a leak inside of the police department, and the distractions of a beautiful femme fatale. Once Genie has her teeth in case though, she doesn’t let go regardless of the consequences. It’s always interesting when an author takes a genre and spins it in a new way. Recent examples includes Declan Burke’s Absolute Zero Cool, Duane Swierczynski’s Secret Dead Men, China Mieville’s The City, The City, and Jasper Fforde’s Nursery Crimes series. The twist in McManus’ Polka Dot girl is to tell a classically framed hardboiled tale in which all the characters are female -- not just the lead roles, but the entire cast. In conjunction with using prose that mimics the style of Chandler and Hamnett, and populating the story with all the cliched roles of the hardboiled genre -- the gutsy, wayward, headstrong detective, the attractive femme fatale, the self-destructive victim, the smart, conniving villain, the violent thug, and the trusted side-kick -- McManus produces a nice double-play: a satire on the masculinist tropes of hardboiled crime fiction at the same time as being an enjoyable hardboiled tale. The story itself rattles along a fair clip with plenty of tension and twists and feints, and the dialogue is spot-on and there are some nice observational touches. The plot is well constructed, though it’s sometimes sustained by a little too many plot devices (ignoring protocol, leaps of faith, coincidences of location, etc). Moreover, I was left wondering about the strange society in which the story takes place -- a city that has no men, yet is organised and operates exactly like our own cities with the same hierarchies, vices and social order, in which only female children magically appear. I kept thinking that surely a society without men would be structured in a different way? 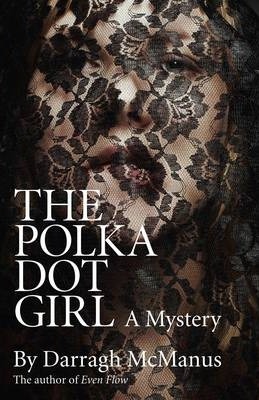 Regardless, The Polka Dot girl is an interesting and entertaining story that spins a unique take on the genre and is a must for those who enjoy their crime fiction with a satirical twist. 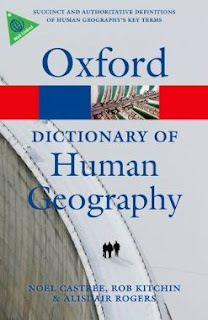 The Oxford Dictionary of Human Geography, written by Noel Castree, Ali Rogers and myself, is officially published today. I received an advance copy late last week and I have to say that I'm really pleased with final product. Because we wrote the entries, rather than commissioning and editing them, there is a nice consistency in style. Amazon UK have a special deal on at the minute - it's £7.79 rather than the usual £12.99 (40% discount). And here's the link to Amazon US ($18.95) and to Oxford University Press. Even without the discount, my sense is the price is a bargain for 2,100 entries, totalling some 315,000 words, on all the key terms in the discipline. The study of geography can be traced back to Ancient Greece. It became a formal school and university discipline in the late nineteenth century and since then it has developed and diversified both conceptually and methodologically. 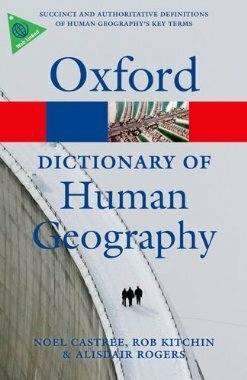 In this volume we provide concise, straightforward definitions of the terms, concepts and methods that comprise human geography’s contemporary lexicon. It is designed to be used by students of the subject at all levels, so too their teachers. But it’s also intended to appeal to others who, for whatever reason, are curious about human geography and how it seeks to make sense of the extraordinary world we live in. It is not an encyclopaedia, but it offers more breadth and depth concerning the large and diverse body of knowledge of human geography than one finds in most dictionaries of geography, which try to cover both the human and physical aspects of the subject. In the pages to come we’ve sought to present the debates and insights of our peers in the world of university geography, even as we’ve included entries on subjects more commonly associated with a geographical reference work. Consequently, readers will find entries on the likes of Afghanistan, Mecca and Tokyo alongside entries on terms such as placelessness, spatial autocorrelation and Tobler’s first law of geography. We’ve also included other kinds of entry that will, we hope, be of interest. For instance, there are biographical entries about the intellectual contributions of leading human geographers past and present, entries about key books that have influenced geographical thought, and key events, political agreements and organisations that have shaped the world and the discipline of geography. In the appendices at the back of the book you will find lists of peer-review human geography journals, geographical societies, and human geographers whose research has been recognised as outstanding by their peers, plus maps that show the location of place entries. We have been selective in our coverage of places, countries, events, organisations and agreements, only including entries on those that, in our view, were or are iconic or important in economic, cultural or political terms. Some readers may wish for a larger and wider selection, but this book is not intended to be a gazetteer. Many entries direct readers to websites where they can learn more. In other cases further reading and references are listed at the end of many entries. The majority of entries contain cross-references to others, allowing readers to follow their own paths through the dictionary. We hope these cross-references allow you to widen and deepen your understanding of human geography – even if your initial intention was to get clued-up about just one or two of our 2100 headwords. Finally, not a few entries offer considerable detail on the subjects in question because of their importance or complexity. Just a few minutes dipping into this work will reveal that human geography is porous in two senses. First, its subject matter intersects with virtually every social science and humanities subject, from anthropology to philosophy to sociology, and human geographers are engaged in routine exchanges with their academic neighbours. In each case we try to show their relevance to human geography and how our understanding of them benefits from taking a geographical perspective. Secondly, human geography is in many senses an everyday phenomenon. 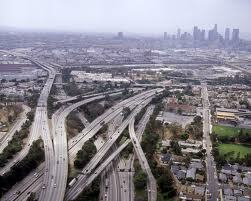 Many of its key concerns are daily news – for instance, urbanization, deindustrialization and international migration. Likewise, its concepts are everyday ones, even if professional geographers utilise them in ways lay actors might not readily recognise (e.g. landscape, nature and place). These aspectss make a dictionary of human geography relevant to readers in ways that, say, a dictionary of physics or ancient history are not. We hope readers who study the subject formally, and those who hold a more general interest, will better understand their own human geographies by perusing the entries. 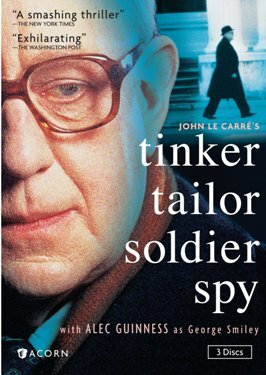 I recently watched the BBC adaptation of Tinker, Tailor, Soldier, Spy made in 1979 and based on the John Le Carre novel of the same name. It stars Alex Guinness as the weary and dour George Smiley bought back secretly from retirement to hunt for a mole at the top of the British secret service. The series is distinguished by its slow pace, silences, understated drama, and atmospheric lighting, a kind of anti-thesis to the rush and action of contemporary programmes. Often Guinness does little more than look tired, his conversation restricted to a few words, and he's complemented by a fine supporting cast. The plot unfolds gently, immediately wrapping the viewer in its embrace, punctuated with a handful of tense moments, thus mimicking the dull monotony of much spy work with its occasional pinch points. The overall effect is a highly compelling, engaging, thoughtful story. I've just ordered Smiley's People, made in 1982, which will hopefully be more of the same. Charles ‘Reader’ Kincaid is a career criminal and psychopath killer with the perfect plan to net millions at the expense of C.J. St Ives, a private banker. All he needs to do is assemble the right equipment, keep his booze-hound partner, Eddie, on the straight-and-narrow, and stick to his plan. The first jag in his perfect crime is to kill Jack Fogarty, a specialist electronics dealer whose brother, Grady, is a retired cop who vows to track Jack’s killer down whatever the cost. Trailing Reader from Ohio to New Orleans, Grady hooks up with a beautiful animal welfare officer and another retired cop-turned-bar owner who still has contacts on the local force. Reader soon becomes aware of his shadow but presses ahead with his plan, confident that Grady is an irritant that is easily dealt with. In turn, Grady starts to piece together Reader’s plan and to hatch his own designed to exact a non-judicial form of justice. The key to The Perfect Crime is the plot, which is clever and well executed, with a couple of nice feints and twists. Edgerton not only envisages the perfect heist, but he interweaves three, competing perfect plans each of which is not quite as perfect as its executioner thinks, pitching the protagonists against each other in the process -- the hapless, smarmy C.J. St Ives intent on ripping off his own bank, ‘Reader’ Kincaid who desires the millions in drug money being laundered by St Ives’ bank, and Grady Fogarty who wants revenge for his brother’s death at the hands of Kincaid and a better life for himself after years of poorly rewarded toil. It’s a compelling storyline that hooks the reader in and keeps the pages turning to the nicely resolved ending. The storytelling itself is quite workmanlike and the characterisation somewhat routine and cliche at times, with only Veronica, a retired local cop, breaking the mould. I inwardly groaned when a beautiful, young woman falls for Grady after a brief conversation; does every fifty something year old retired cop in the US snag women half their age? Regardless, it's the smart plot that makes this a book worth reading -- and which leaves you wondering if you could envisage and execute the perfect crime. It's taking me quite a while to adjust back to Irish time after 10 days in the US. It took a little longer to get home than planned. Coming in to land there were flashes of lighting out of the window and I then got caught in a large thunderstorm in Chicago which went on for hours, with the airport closing five times during the day. 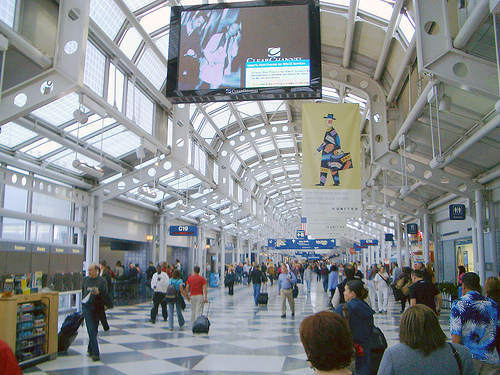 The flight screens were covered in cancelled and delayed notices. I spent most of the time catching up with admin to try and make life easier when I got back rather than reading. Still, nine hours hanging round an airport is not a great way to spend a day. In Tucson airport waiting at the gate to start the journey back to Ireland. A 5am start is never a good thing, nor is a five hour layover between flights. In fact, the only good thing about long and multi-leg flights is uninterrupted reading time, though I'm not sure the penalty of jetlag is really worth it. In the ten days I've been away, I've not managed to get my body clock onto US west coast time, and it'll no doubt be worse flying eastwards. At least, the trip has been productive and enjoyable. 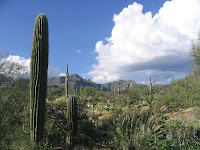 I especially liked Tucson, though it was a little too hot for me despite the locals telling me it was presently quite 'mild'. Their mild would be a glorious summer day we'd talk about for years. After a week in LA, where amongst other things I met the delightful Margot Kinberg, I've now arrived in sunny Tucson. I managed to leave the book I was reading, The Dividing Line by Richard Parrish, on the plane, which I blame on being dog tired from jet lag (which I haven't yet shaken off). The story was set in Tucson in 1948. I've just looked on Amazon and there's no kindle version to download, so I guess I'll just have to re-order it again some time in the future. 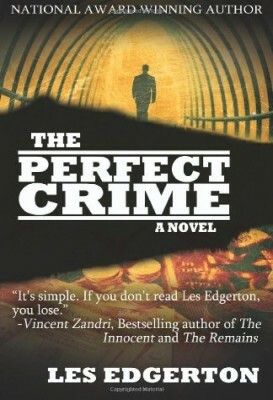 I'm now reading Les Edgerton's The Perfect Crime instead. Today I'm heading off into the mountains up the Sabino Canyon, then this evening I'm having dinner with some city officials. For 17 years, Lars, a mob hitman, has been tracking Mitch the Snitch, a numbers man who sought refuge with the Feds witness protection program. He keeps his hand in, doing the odd side job, but Mitch is his primary target, though he remains elusive. Regime change back East, means a young, brash kid arrives in New Mexico to work with the aging hitman. The kid has inside info from a mole in the Feds as to where to find Mitch. Lars and Trent are chalk and cheese, taking an instance dislike to each other, but the kid’s information is right on the money. Approaching fifty, with almost as many kills to his names, arriving to do the hit Lars’ realises his outlook on life has changed. And when Mitch appears with a daughter in tow, he balks at having to murder the child as well. Instead, he snatches the girl and makes a run for it, his sole aim to keep himself and her alive. The Devil Doesn’t Want Me is a noir, road trip story, tracking the flight of an aging hitman and the daughter of his long-term target as they make their way from New Mexico to Los Angeles. The story is well plotted, with Lars becoming increasing reflexive and the action and tension building as the tale unfolds, and the resolution is nicely played out. There were a couple of points where Lars’ judgement seemed a little off, especially the sojourn into Las Vegas, but they did not detract from the story and worked to create an entertaining set of events. The telling is all show, with a nice mix of dialogue and action, and is darkly humorous at times. The characterisation is strong, as are the social relations between Lars and his younger rival, and with the daughter. 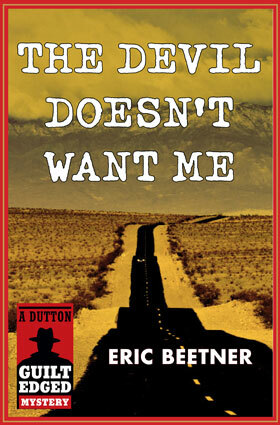 Overall, a fun and entertaining read that makes one dream of dashing across the desert in a 66 Mustang. Patrick Fort is a a young man with Asberger's Syndrome who, after the death of his father, becomes obsessed with what happens when a creature dies. In order to try and understand mortality he leaves his exhausted mother and enrols in an anatomy course at Cardiff University. There he encounters cadaver number 19. Along with four other students Patrick’s task is to dissect the body to learn about its constitution and establish the cause of death. Patrick’s diagnosis is murder, an answer nobody seems to want to hear. But once Patrick gets a notion he follows it obsessively, regardless of the consequences. Rubbernecker is a wonderful read - witty and smart, with a nice mix of darkness and light, pathos and humour, and a cleverly worked plot. The three main strengths of the novel are the characterisation, plot, and prose. Patrick Fort is a lovely creation - truthful, logical, obsessive and unintentionally abrasive - and the other characters are fully formed: his long suffering mother, the students in his shared house, and the staff and patients at the university hospital, especially Samuel Galan locked inside his comatose body and the selfish, uncaring nurse, Tracy Evans. The plot is nicely put together, with a couple of very nice twists towards the end of the story. Adding to the reading experience is the crafting of the narrative and the engaging prose. There isn’t a word out of place, and the story is all tell and no show. The novel has the feel of a standalone, but I hope that Bauer is thinking of creating another mystery for Patrick to investigate. 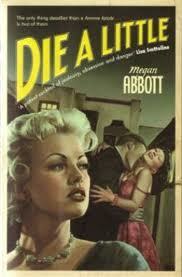 Overall, an excellent piece of literary crime fiction. 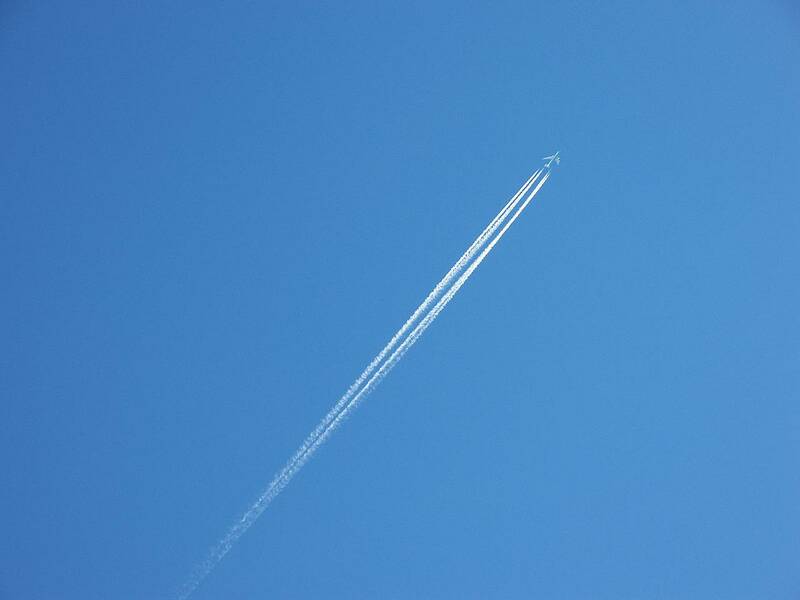 By the time this is posted I should be somewhere over the Atlantic on my way to Los Angeles via Chicago. 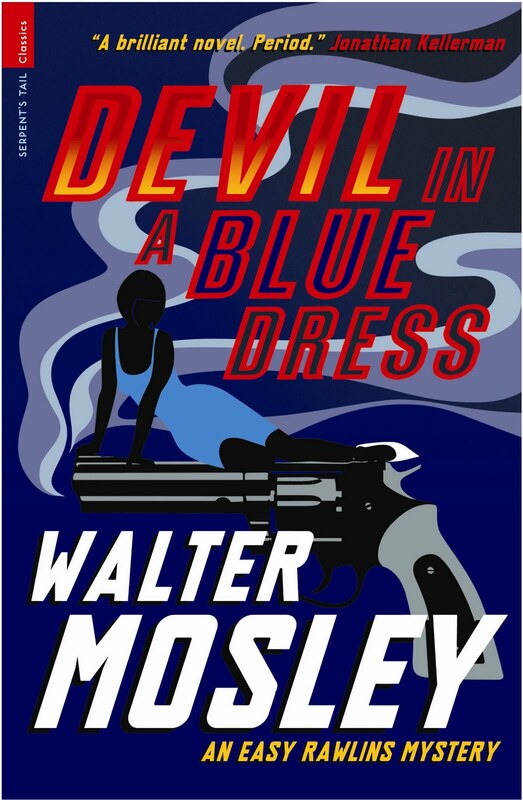 I'll probably still be reading Die a Little by Megan Abbott, or will have moved on to Devil in a Blue Dress by Walter Mosley. The last time I travelled to LA I arrived looking like a horror show extra. 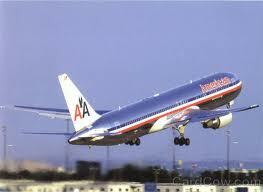 Whilst we were taxiing for take-off in Dallas I got a nose-bleed. One of those ones that just won't stop. Unable to get up to go to the bathroom, and with no tissues at hand, my shirt ended up a bit of a mess. I did what I could to clean up once in the air, but the damage was done. At least I got a fair bit of space around me at the baggage carousel, where thankfully I could change into a fresh shirt. Hopefully, that won't happen again. Which reminds me - I need to pack some tissues. Some missing people don’t want to be found, some PIs don’t want to go where they might be hiding, and some parents don’t care about the wishes of the first two. Rob is the former, hiding out in Burma (Myanmar) with his singer girlfriend, Vincent Calvino is the Thai-based PI who has little desire to travel across the border to find him, and Osborne is the persistent, rich, dying father who wants to be reunited with his wayward son. At first, Calvino refuses Osborne’s pleas, but when his good friend, Colonel Pratt of the Thai police, asks him to accompany him on an undercover operation to find the source of methamphetamine trade, Calvino relents and takes on the case of finding Rob. 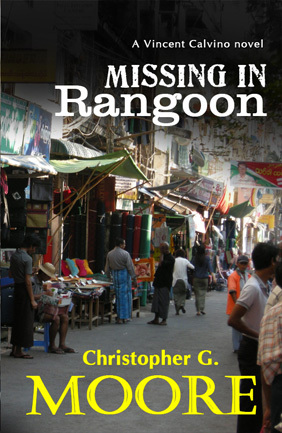 After years of being a closed society, Rangoon is just starting to open up, but it’s still a very different place to Bangkok and Calvino has little local knowledge, nor contacts. It doesn’t take long to establish, however, that he’s not the only one looking for the missing man. Missing in Rangoon is the thirteenth outing for Moore’s New York born and Thai-based PI, Vincent Calvino and the first in the series I’ve read. I had no problems dropping into the series and the book works fine as a standalone. The strength of the story is the nicely realised sense of place and the social, political and historical contextualisation with respect Thai and Burmese culture, especially the latter as it slowly opens up after years as a closed state, as understood by a well-embedded farang (foreigner), and there are some nice observational touches throughout. The characterisation of Calvino and his Thai cop buddy, Colonel Pratt, are nicely done, though some of the other characters are little more than caricatures acting out cliched roles. The plot was engaging and for the most part worked well, though there were a couple of moments that felt a little clunky, and at times there is too much show rather than tell, some of which was redundant with points laboured and repeated. Overall, despite a couple of quibbles, an entertaining and enjoyable sojourn into complex terrain of Rangoon. It’s winter 1943 and former Berlin cop, Bernie Gunther, is working for the German War Crimes Bureau investigating supposed crimes committed by Allied forces. Rumours are starting circulate about a grave of Polish officers in woods outside of Smolensk and Gunther is flown from Berlin into German occupied Russia to investigate. The area is littered with mass graves, not all of which the German’s want to be discovered. But if the rumour is true then it could prove to be a useful piece of propaganda which can used to drive a wedge between Russia and its allies. The grave, however, turns out to be just one problem for Gunther to deal with, along with disgruntled and plotting senior officers and the murder of two local signals operators. Matters are not helped by the detective’s gruff style and his ability to rub people up the wrong way. With the Russians set to advance on their positions, Gunther needs to oversee the grave excavations, solve the local murders and move to safer terrain. I’m a great fan of the Bernie Gunther series. I’ve read all nine books, buying the last few in the first weeks of release. 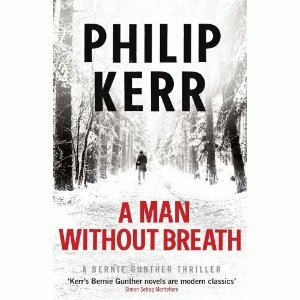 A Man Without Breath is a solid enough addition to Bernie’s story, though it is by no means Kerr’s best work. 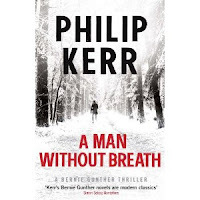 Kerr writes with a very strong and engaging hardboiled voice. His characters are vivid, the historical and social contextualisation and sense of place are excellent. And so it is with A Man Without Breath. There are three issues with the story, however, that undermine its telling somewhat. The first is Kerr has tried to cram in too many plotlines and incidents - the Katyn woods massacre and subsequent German propaganda, the plot to kill Hitler by Wehrmacht officers, the Rosenstrasse demonstration by German wives at the arrest of their Jewish husbands, the Gleiwitz incident that started the Second World War, Spanish Fascist experiments on Republican prisoners, several murders that occur whilst Gunther investigates the Katyn massacre, and a love affair. Any two of these would have been sufficient hooks for a strong, tight plot, but the combination of all of them leads to a bit of a muddle. Second, the book is overly long (over 500 pages in hardback) and not just because of the plotlines -- several passages could have been tightened up or deleted as they were largely redundant to the plot. 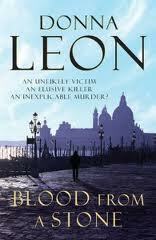 Third, Kerr has Gunther murder a relatively innocent character in cold blood when there were other solutions. Bernie is no saint, but his appeal is that he has a strong moral compass in a corrupt regime and the people he tangles with are mostly monsters; he witnesses, investigates and avenges war crimes, but he doesn’t commit them. The action bumped me firmly out of the story and changed my whole view of the character. The effect of these three issues were to deaden the read, which was a shame, as given the place, time and themes of the book this had the potential to be excellent. Regardless, it’s an interesting and mostly enjoyable read and I look forward to the next instalment in Bernie’s adventures. Another good month of reading. 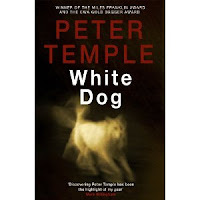 My book of the month was Peter Temple's White Dog. I really do hope that Temple resurrects the excellent Jack Irish series.